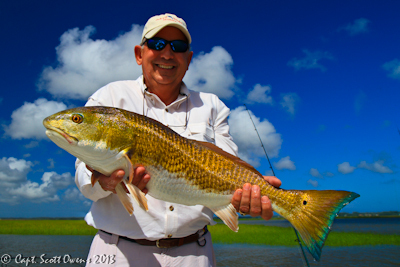 Jekyll Island’s Best fishing charters for over 20 years! Offering light tackle inshore, near shore, and offshore-deep sea fishing trips year around in and around Coastal Georgia’s Jekyll Island. Southeastern Angling’s Jekyll Island Fishing charters and trips include all licenses, tackle, ice, bottled water, cleaning of your catch and friendly professional instruction if needed. 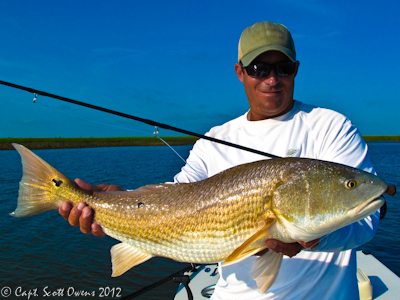 Jekyll Island Fishing Charters offers fishing trips to fit every ones needs and schedule from sight fishing tailing redfish with a fly rod to family and kids trips as well as blue water deep sea fishing. 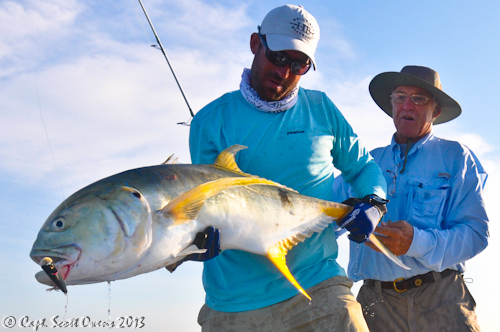 Southeastern angling is the only guided fishing charter business that is equipped to fish you from the backwater flats to the blue water open ocean and offers a lifetime of experience doing so. Feel free to call with any questions. Both Captains Scott and Rob are licensed by the United States Coast Guard and carry proper insurance, state and federal permits. They provide a lifetime of experience fishing the southeastern coastal waters from North Carolinas Outer Banks to The Florida Keys. 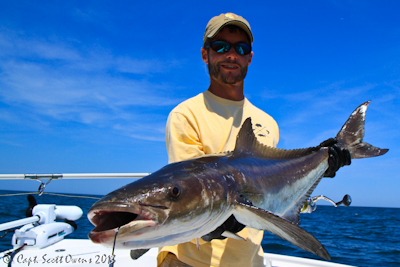 Southeastern Angling’s equipment is meticulously maintained and updated. Current Boats include 2-2019 custom 25 Dorado tower boats by Dorado Custom Boats, a 2019 Hells Bay 17.8 Professional flats boat, a 2000 custom Hells Bay 16 whipray, and a 2004 custom Hells Bay Glades Skiff. 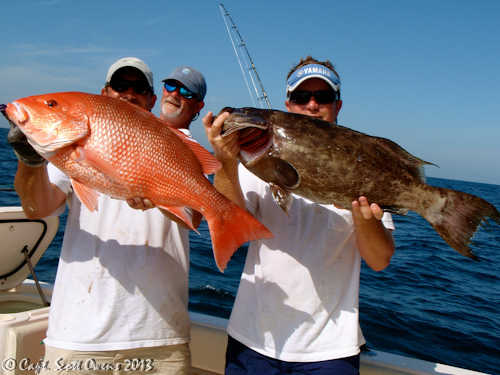 Come fish with the full time pros of the Georgia Coast. They spend over 275 days a year on the water and have the knowledge to get you to and from the dock safe while consistently catching fish as well as providing their clients with a great experience on the water. Jekyll Island Georgia Guided Fishing charters and trips can be arranged by calling 912-270-7300 now or booking online today! 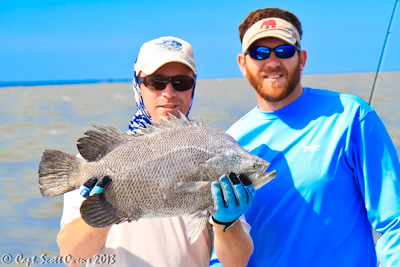 Jekyll Island Fishing Charters with Southeastern Angling includes a Georgia fishing license with all fly/light tackle inshore, nearshore, offshore, and deep sea fishing charters. Fishing Coastal Georgia charters in Jekyll Island. The Jekyll Island Club Hotel, Westin, and all other hotels in Jekyll Island Georgia are just minutes from our dock. 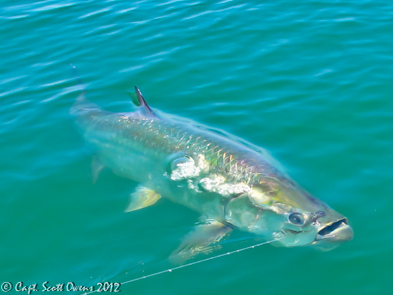 Big Tarpon coming Boat Side in Jekyll Island Ga. 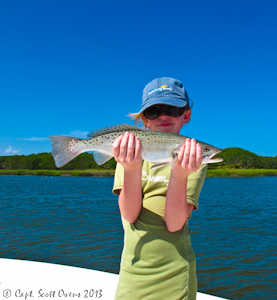 This happy girl has a nice speckled trout off Jekyll Island! !